In a well ventilated area, start by spray painting the lids of the jars. It helps to have space in between each lid so that you can give the sides a good coating. Also be sure to have a good distance in between each color so there’s no crossover spray. Let dry completely and then screw back on the jars. For an extra special touch, burn your initials into the handle of the wooden scoops! It helps to draw the letters onto the surface before using the woodburn tool and to use the small, pointed tip for accuracy. If you’ve never done wood burning before, try practicing on a scrap piece of wood so you can get a feel for the pace. You’ll have the hang of it in no time! All that’s left to do is add the candy on the day of the wedding! Fill the apothecary jars with a single color and then line up in ROYGBIV fashion. 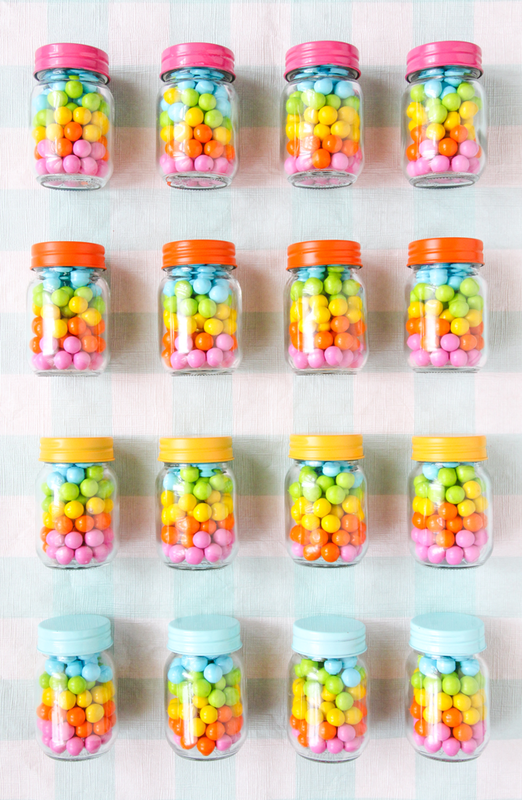 For that extra rainbow touch, also line up the jars in color order. 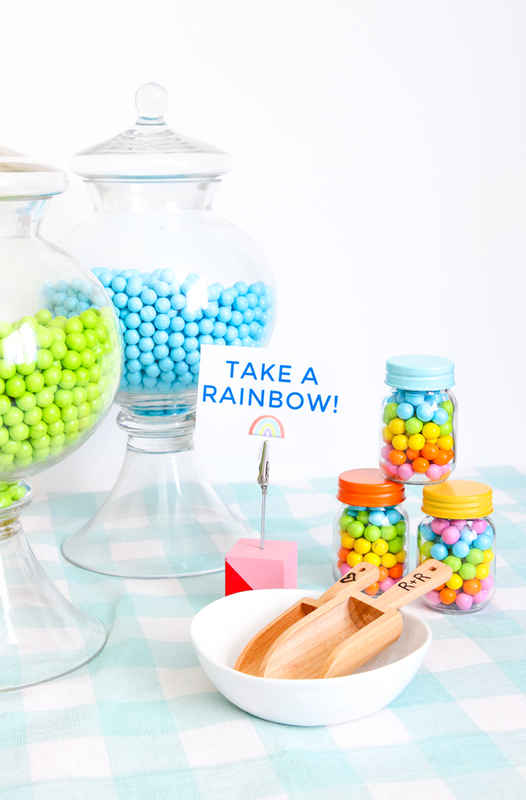 Your guests will be able to create their own candy rainbow for the road or just select their favorite color this way. Either way, everyone leaves happy and a bit more colorful! Even if you’re not getting married, this candy favor bar would be perfect for any special birthday or event! Or you know, just your own personal kitchen.